With more than 15 years of experience in global digital marketing including search engine marketing, social media marketing, and digital advertising, Francis Skipper serves as Executive Vice President at 451 Marketing. At 451 Marketing, Francis oversees award-winning global digital marketing campaigns for clients including AstraZeneca, HP Hood, The Yankee Candle Company, Bob’s Discount Furniture, and Ericsson. As an experienced senior manager and business development driver, Francis has led successful online marketing campaigns for Fortune 500 level companies in the pharmaceutical, consumer packaged goods, healthcare, consumer electronics, B2B, and retail spaces. Trained as a formulations chemist, Francis began his digital career building chemical modeling applications in the pharmaceutical industry. 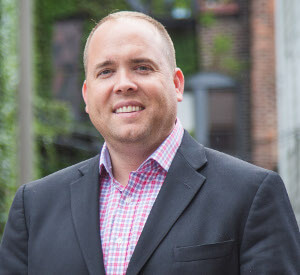 Pharmaceutical expertise combined with digital acumen landed him a role at a healthcare marketing agency where he expanded and developed his search marketing skills. Francis holds a masters of business management from Cambridge College. A South Carolina native, Francis earned his bachelor’s degree at the University of South Carolina Upstate in chemistry.